This article originally appeared in the 4 November 2015 online edition of the Utah Valley 360. 1. When President Monson was born in Salt Lake City in 1927, some of the original Mormon pioneers were still living there. In fact, when Gary E. Stevenson — the youngest member of the Quorum of the Twelve Apostles — was born in Utah in 1955, at least one was still living. Hilda Erickson, who came to Utah in the last wagon train to leave from Nebraska in 1866, died in 1968 at age 108. 2. Even if Marvin J. Ashton, Bruce R. McConkie, David B. Haight, James E. Faust and Neal A. Maxwell were still living, President Monson would still be president of the Church. 3. In the year 2000, 34 temples were dedicated. That’s the same number of temples dedicated from 1830 to 1984. 4. When today’s youngest full-time missionaries were born in 1997, only one-third of today’s operating temples existed. 5. Speaking of thirds, one-third of the 12 apostles served as full-time missionaries in England. Three (Elder M. Russell Ballard, Elder Jeffrey R. Holland and Elder Quentin L. Cook) served as young men; Elder Robert D. Hales served in England as a mission president. Former Church president Gordon B. Hinckley also served in England. 6. Today, there are as many temples operating, announced or under construction in Africa as there are in the state of Arizona. 7. If the first stake in Russia were a child, it would only be a Sunbeam. 8. The first stake in India would still be in nursery. 9. The first stake in Ukraine would be just graduating from Primary. 10. And the first stake in Democratic Republic of Congo would be a missionary. 11. Though the first baptisms for the dead were performed in Nauvoo in 1841, the first endowments for the dead were not performed until 36 years later in St. George (1877). 12. The first Church building in Mexico was in use before the Salt Lake Temple was dedicated. 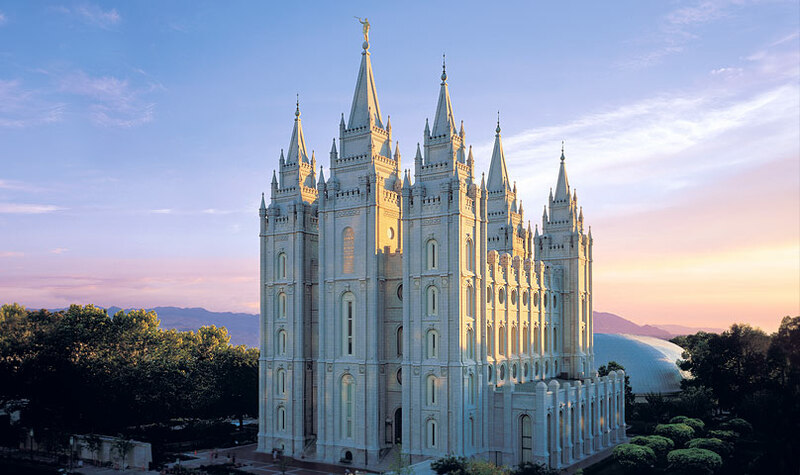 It was first utilized in 1886; the Salt Lake Temple was dedicated seven years later in 1893. 13. However, temple ordinances were not presented in Spanish until 1945 in the Mesa Arizona Temple. 14. The first Church building in Mexico was in use before the Salt Lake Temple was dedicated. It was first utilized in 1886; the Salt Lake Temple was dedicated seven years later in 1893. 15. However, temple ordinances were not presented in Spanish until 1945 in the Mesa Arizona Temple. 16. The Church’s 1 millionth full-time missionary was called sometime during 2007. 17. The Church’s 100th apostle was called in 2015 (Dale G. Renlund). 18. The Young Women organization operated for six years before the Young Men organization was created. (Young Women was founded in 1869; Young Men was founded in 1875). 19. There are almost 100 more missions today than there were stakes worldwide in 1960 (406 missions today and 319 stakes in 1960). 20. Relief Society is the oldest Church auxiliary, organized in 1842. Fittingly, the Primary organization is the youngest auxiliary. It was founded in 1878. *Most information from MormonNewsroom.com, the Deseret News Church Almanac, or “The Timeline History of Mormonism from Premortality to the Present” by Christopher Kimball Bigelow.